Frédéric Ducoulombier is Director of Risk and Compliance for ERI Scientific Beta, the index provider established by EDHEC-Risk Institute. He unified the operations of the School's M.Sc. courses (as Deputy Associate Dean for Graduates Programmes), helped design and implement the School’s "Research for Business" policy (as Deputy Associate Dean for Research), set up the executive education arm of EDHEC-Risk Institute as well as the School’s PhD in Finance programme and Asian operations. His recent research has focused on factor investing and regulatory issues pertaining to financial markets, institutions and instruments. His research has appeared in The Journal of Portfolio Management and multiple trade publications. 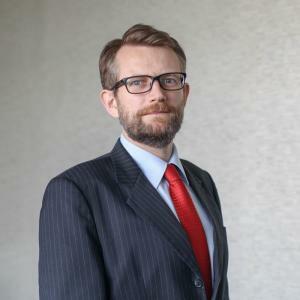 He is a past member of the Consultative Working Group of the European Securities Markets Authority’s Financial Innovation Standing Committee. He holds a Master in Management from IESEG School of Management (1997). Etude EDHEC sur l'investissement et la Gestion du Risque Immobiliers en Europe.